It's not the first time I've missed a Seven Things Sunday post, and it won't be the last. I just could not figure out SEVEN things I wanted. I guess it's time to admit I'm growing up. 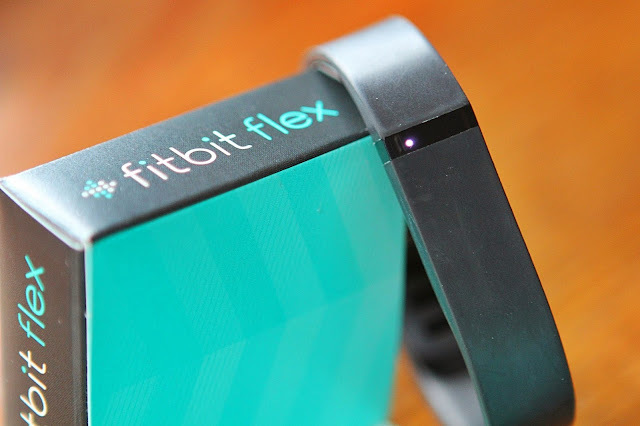 The very, very top of my wish list is a Fit Bit Flex. I've really been getting more involved in my personal health lately, and this seems like the very thing to keep me informed on what and how I'm doing. Some of this list was easy(ish), while some of it was very difficult for me. My birthday is now less than a month away, and I find it very practical to ask for things I actually want instead of saying "Oh, nothing." and getting something I'll never use. 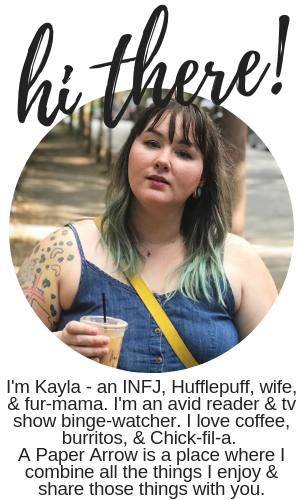 Read on to see the things I'm really into this year. I discovered the FitBit line through an app I use daily called MyFitnessPal. With MyFitnessPal, you can connect multiple devices and/or apps to your account so all your different bits of healthy living can sync in one place. For some reason, FitBit really stood out to me. Then I began to research, and the more I read, the more I loved. FitBit can track your sleep and activity, and gives you an overall better understanding of where you stand when it comes to your lifestyle. Personally, I think that's amazing, and with an illness such as diabetes, I really think this is something that can help me to take better care of myself. I have the motivation, I just would like to have the extra resources. While there are various options to choose from the FitBit line, the Flex seems the most convenient. (It's also water resistant, so you can wear it in the shower too). While I prefer one in pink, I just want one REGARDLESS. If I could only have one birthday gift, this is what I choose. The FitBit Flex runs at about $100. 2. A Dunkin Donuts Gift Card. Seriously, my life runs on Dunkin. I eat there as often as I can. Even though I don't get any sort of crazy drink order, their iced coffee (with skim milk and sweet-n-low for me) is so good. And don't even get me started on those multigrain bagels with veggie cream cheese. The gift cards can be bought in any denomination, but seriously, you could hook me up with anywhere from $5-$100 and I'd be the happiest. 3. 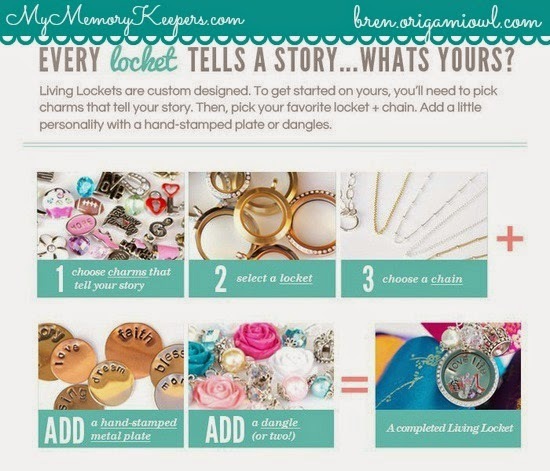 An Origami Owl Living Locket necklace. A few years ago, I was given a Pandora bracelet for Christmas, along with all the other ladies in my family. Their's filled up quickly. Mine did not. At this point, I can't even wear mine because it's too loose because it doesn't have enough beads. The new way to wear your important moments is a Living Locket necklace. 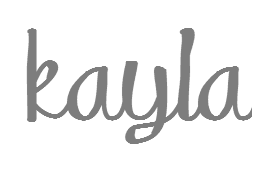 It's a step-by-step piece that is personally made for each individual, and I want one, on a long, 30-inch sterling silver chain. They're gorgeous, and I just want someone to love me enough to make one for me. The price on these varies depending on the actual locket you purchase and each individual charm you put inside. 4. 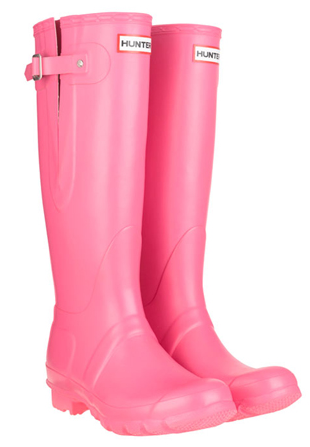 Hunter brand rainboots in pink. I own leopard print duck shoes, and they're fabulous for walking through puddles, but they're short and my feet still get pretty wet on rainier days. These are so cute and I love the shade of them. These generally run at $100+. 5. Tickets to the One Direction concert in Atlanta on October 1. Yes, I will be 24 on my birthday, and no I don't plan on taking a 10-year-old with me. I genuinely enjoy One Direction's music. They're songs are fun and catchy and I just can't get enough. Not to mention, I work at Claire's and we play One Direction songs every 10 minutes. The tickets run between $50-$150, depending. 6. A day of being pampered. I work 40+ hours a week. And I drive 10 hours every week just to get to work and home. Did I mention it's retail? I'm tired. And I could use a spa day, or a mani/pedi. I just need some good old fashioned pampering. This could cost just about anything. 7. Tattoos. I love tattoos, and I have a good bit of ink. But I'm not finished and it's been a few years since I got anything new. I could just use something. (Don't worry, I have ideas for these somethings.) This could also fall under the category of pampering. Generally, tattoos will be $50+. Of course, I'd love a day with my family with cake and good eats. These are all just something extra. What are you looking forward to getting for your birthday this year?